Local manufacturer Cherry Mobile breaks into the market with another smartphone with its own marquee feature. Branding the second iteration of the Razor phone as “thinner, lighter and clearer” makes it more than just another “slim” phone offering. The Cherry Mobile Razor 2 is expected to hit the scene this weekend with a powerful hardware that we could think of. Let’s retract is tagline by starting with the “clearer” feature– the 4.7-inch screen will be treated with a Dragontrail Glass. The leaks tell us that it’ll have a 720p HD resolution along an IPS panel – clearer that last year’s qHD offering. On the hardware side of things, the Cherry Mobile Razor 2 will sport a speedy quad-core processor that will be clocked in a 1.2-gigahertz speed. You’ll also get to have a gigabyte of RAM to bolster your multi-tasking activities. Other features include the conventional 4GB on-board memory that will possibly be expandable up to 32GB via microSD slot. The 12-megapixel rear camera and the 2-megapixel front shooter make up the necessary optics for this phone. 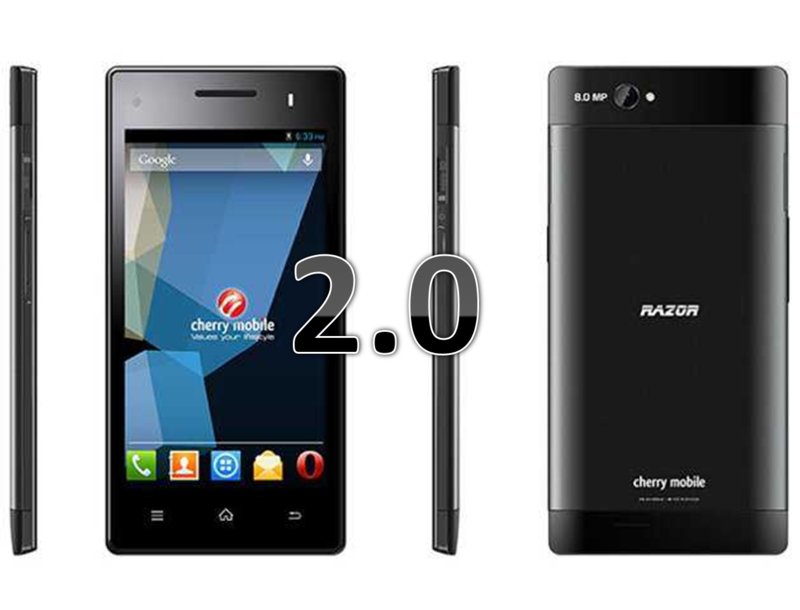 Cherry Mobile Razor 2.0 is, arguably, one of the thinnest phones around. Its slimmer 7-millimeter svelte body is a deal maker for most of us. This 100-gram phone will have the generation-old Android 4.3 Jelly Bean right off the bat. You can get this device for Php 6,499. Judging without the battery information, will you grab a Razor 2.0?